As you may have guessed with my upcoming trip, there's a bit of a theme with my next few weeks. Both planners match again this week too! 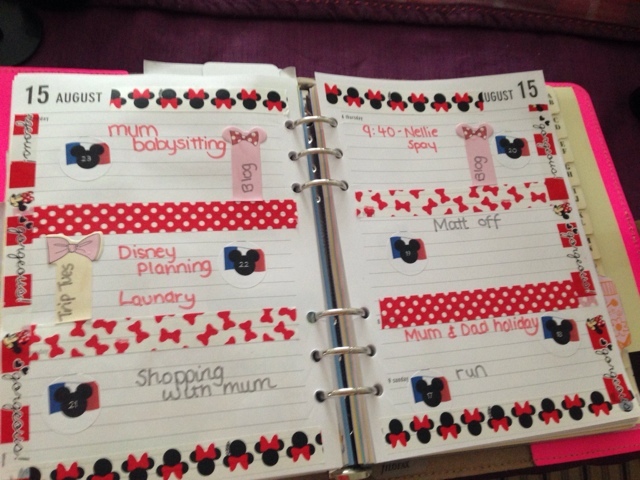 I've opted for Minnie Mouse this week. Both the tape and the sticky notes came from the Disney Store this time. The sticky notes are the same high quality as the Inside Out ones, but the tape is a little strange. It's not papery, but it's not plasticky either. I'm not too sure how best to describe it. 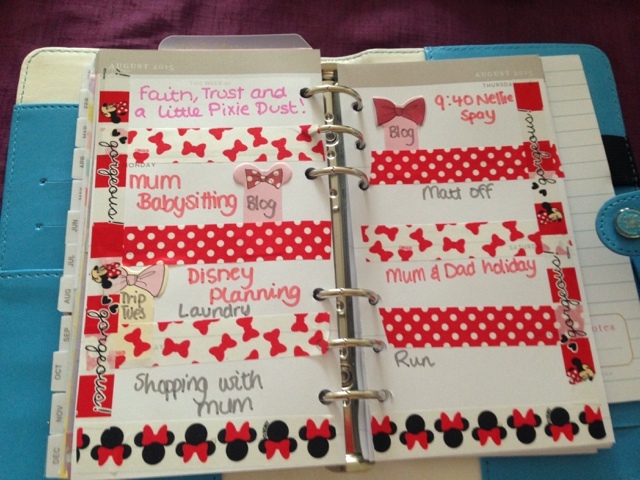 On the upside though, they do come in a cute Minnie washi holder. The only downside was that it did mean my personal size looked a little crowded. I never learn!